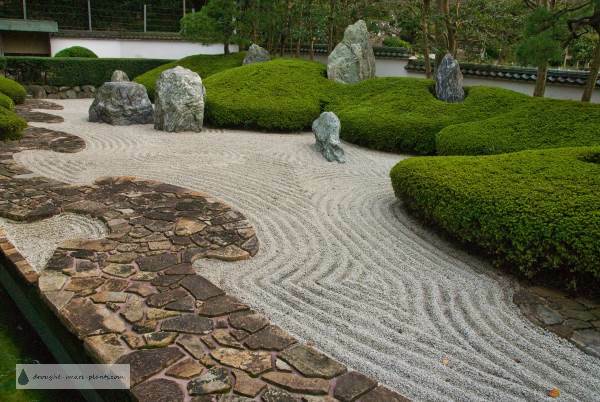 A Japanese rock garden is a way of emulating nature, down to the finest detail. Rocks in a Japanese garden are thought to be alive, and venerable rocks especially those with lichen or moss were venerated. 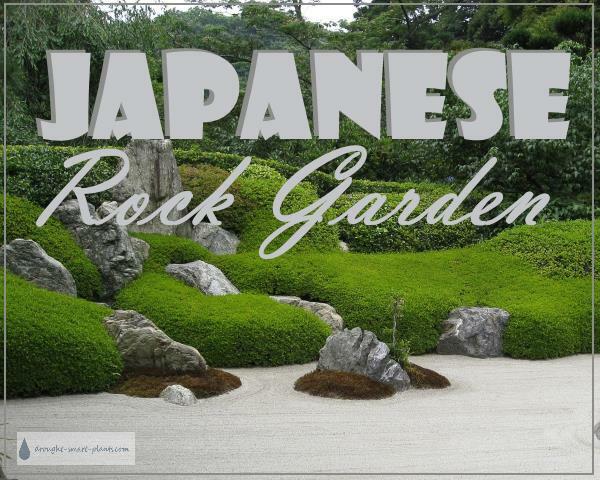 Building an entire garden around a special rock was not an uncommon practice in the early days of Japanese gardening and continues even today. 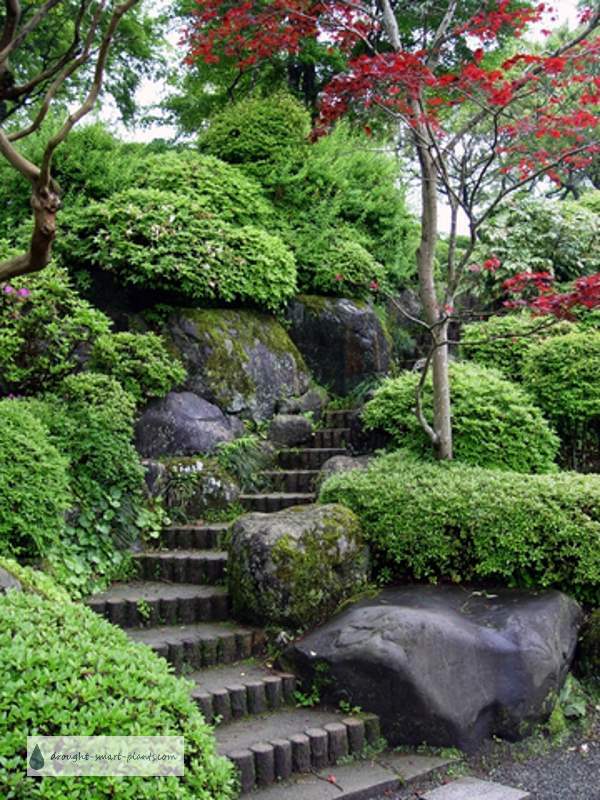 Japanese gardeners made a conscious effort to not only mimic a natural scene, but to capture the essence of a beautiful glade, rocky seashore or mossy outcropping. Tiny shrubs fit perfectly into sheltered nooks, sometimes allowed to grow naturally, sometimes pruned in unexpected ways - among many natural looking shrubs or evergreens, one will be carefully trimmed into a square shape. Other methods of pruning are cloud pruning, with the ends of the branches trained and trimmed to resemble clouds in the sky, or bonsai, an ancient art of making tiny trees. Rocks are used to resemble mountains and craggy wild places, with gravel sometimes representing the sea, as in some spectacular Zen garden designs. Stone steps lined with carefully chosen trees and shrubs, especially evergreens such as junipers and pines are created to lead the way upward. The graceful way that these steps climb heavenward is guaranteed to intrigue and lead the visitor on. Special signature plants such as moss and the graceful and lovely Japanese maple, Acer palmatum are grace notes against the foil of the textural junipers. You can see more about Japanese garden plants here.